The way that customers now shop and engage with local businesses has changed drastically over the years. Traditional marketing is less and less effective, as the conventional customer journey has changed. Therefore the ways of marketing have also changed. While traditional advertising is still important to create awareness, it is no longer where consumers turn to when deciding which businesses to choose. Small businesses are focusing their marketing dollars on where the highest buyers intent is: online search. 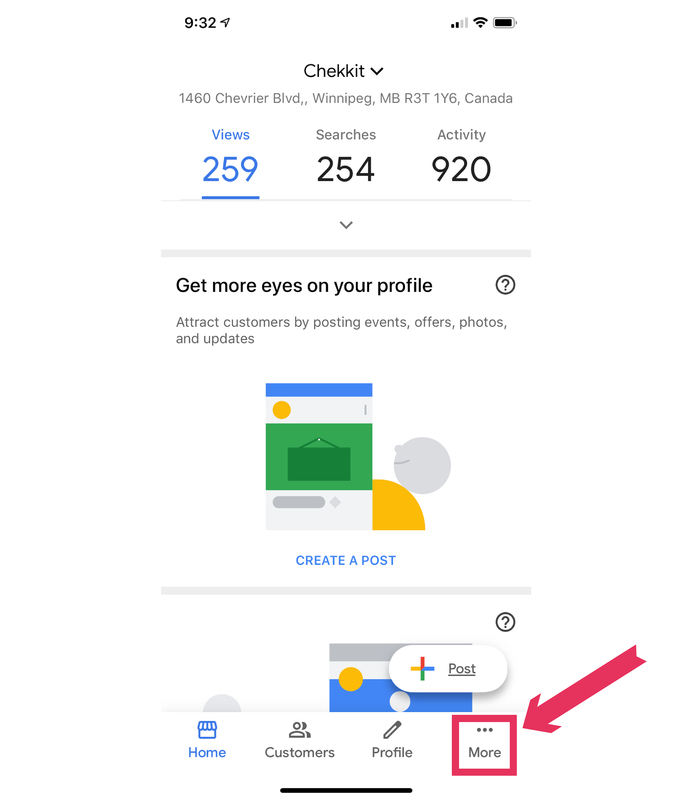 A typical buyer will research you on Google, look at product or business reviews, might go to your website, and then call or messages you directly from your Google business listing or your website. 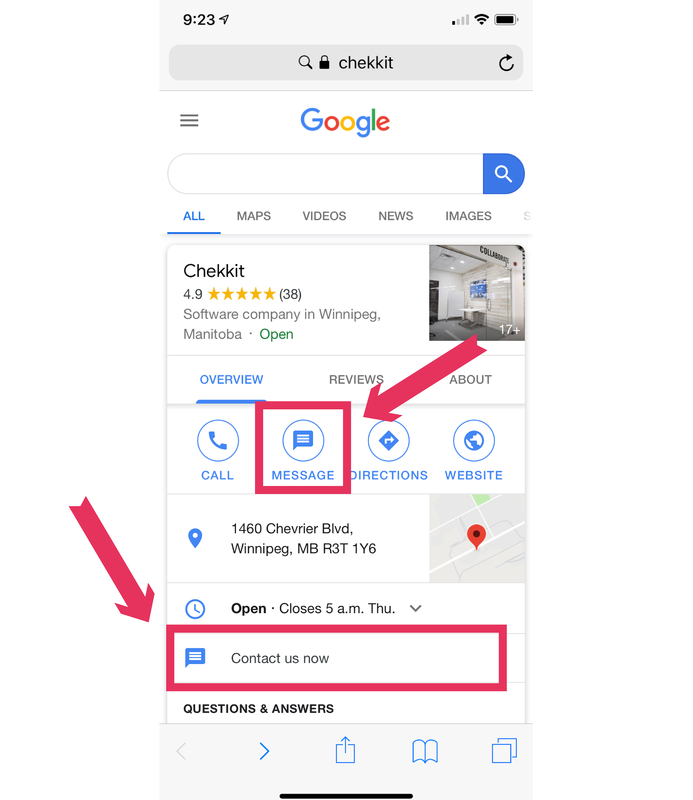 The option for customers to text message you from your Google My Business Listing is now an option, as Google has recognized that customers would rather text message a business rather than call. 64% of people would prefer to text message businesses opposed to calling them. Heres is also 100+ reasons why text messaging is the future of business to customer communication. 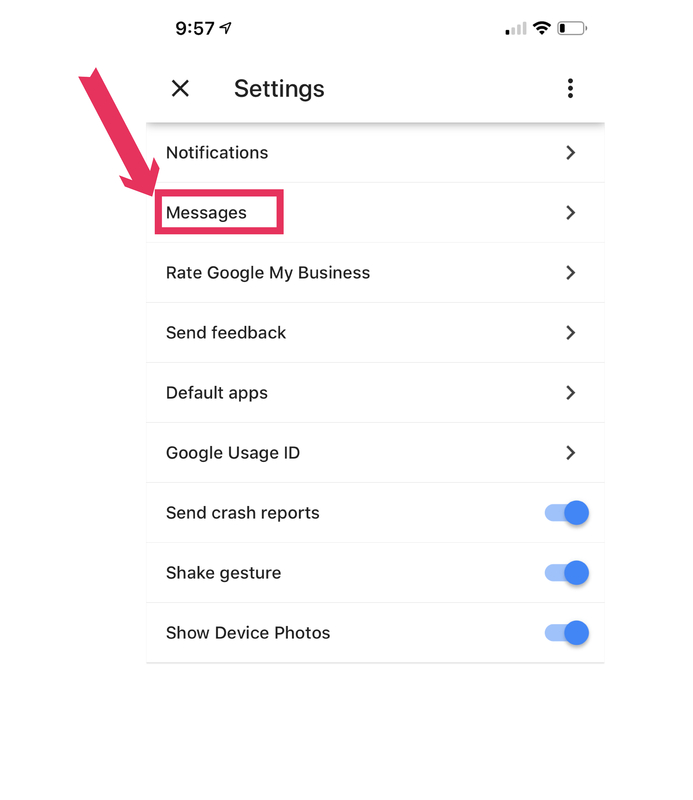 To help you get started we have outlined to you how you can also offer text messaging for your business and get new customers because of it! 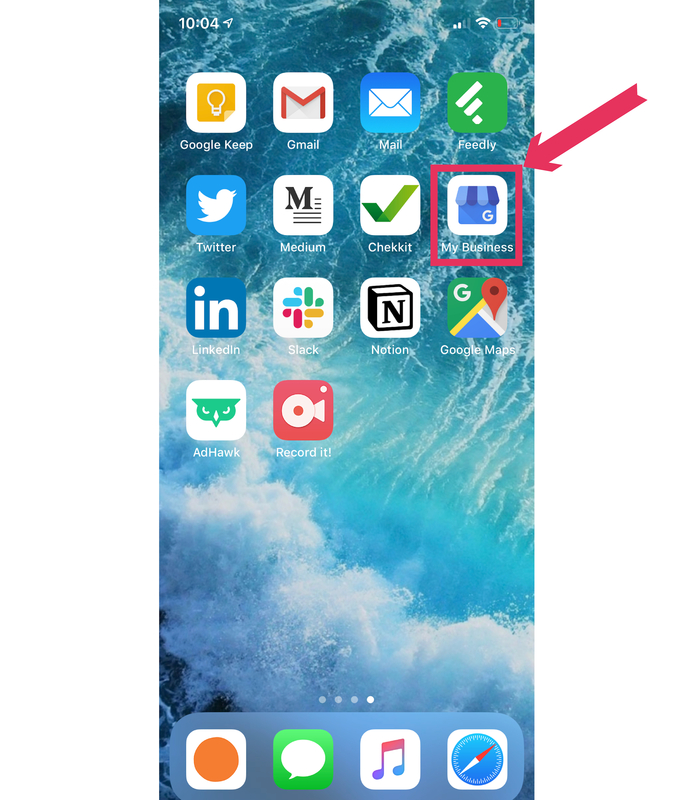 First step is to download the Google My Business app. 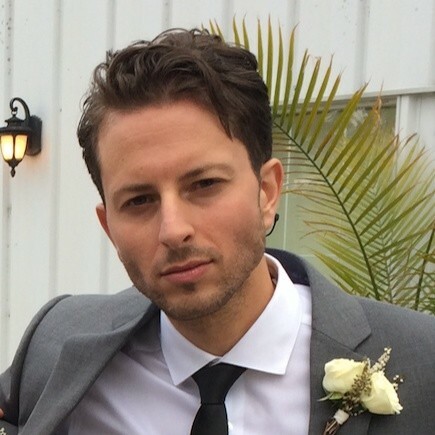 Once you have signed it, here are some some pretty simple steps. 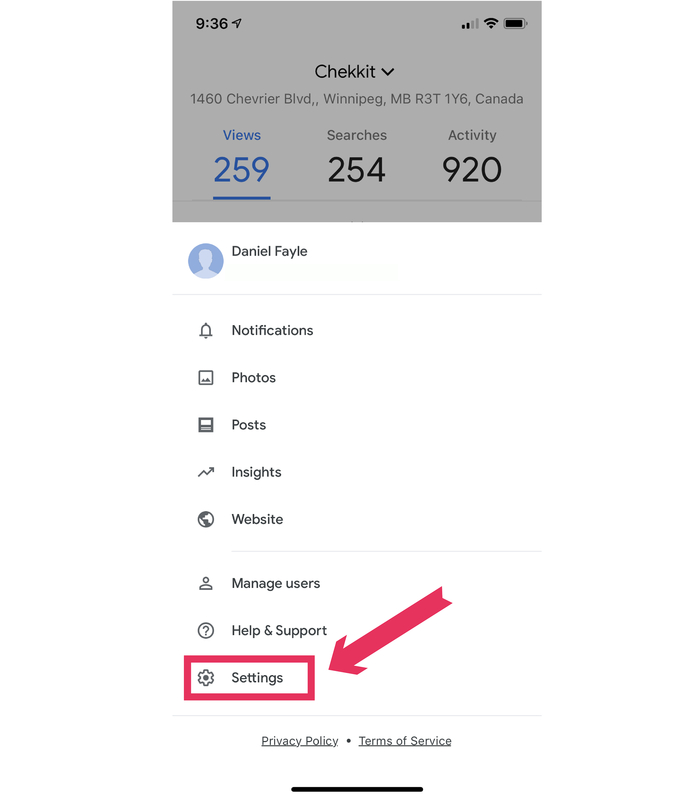 Scroll to the bottom and select "More". 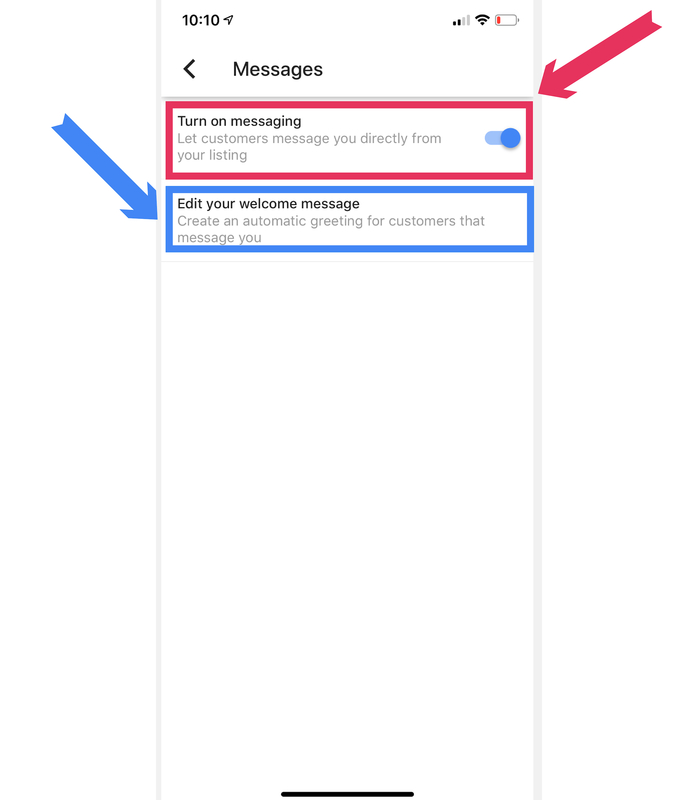 Now just click "Turn on messaging". Now, here is the fun part! Deciding on the type of business, you can change your message, and personalize it. Nothing wrong with going with the default message, but if you're a restaurant you might want to ask if they would like to book a reservation. Press "Save" and your done! Congrats! Customers can now text message you on the go. Say hello to new customers! 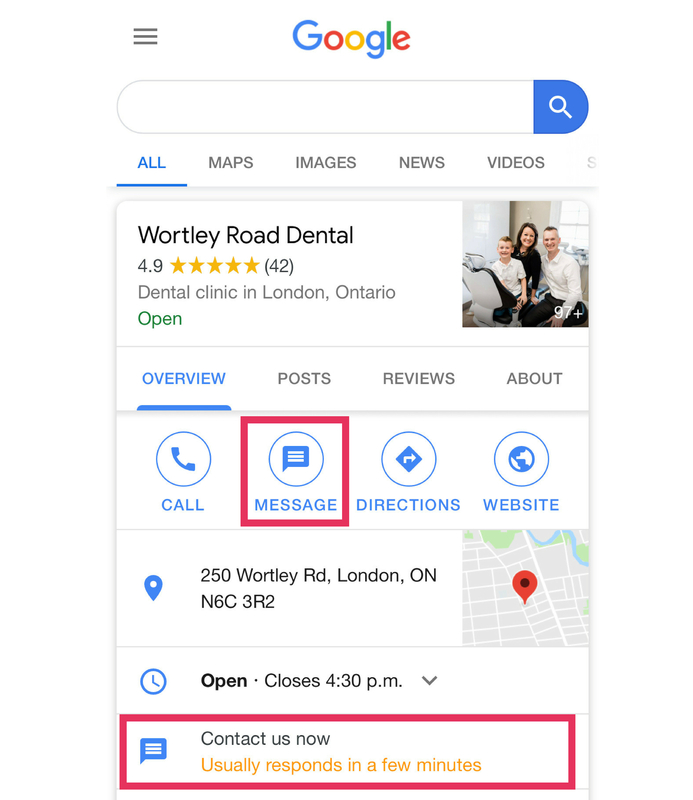 Here is a great example of a dental clinic who uses text messaging and fast response time to their advantage to get new patients frequently. Notice their response time! Cuts that traditional old email route from hours or "one business day" to minutes or seconds. Here's what an interaction between a customer and a business looks like from 9to5Google. I'll leave you with one last stat. The reason you want to let customer text message you is not only for their convenience and because they might actually prefer this communication channel, it's also because as a business you want to have extremely fast response times, and be there when they do have a question or concern. How many times have you visited a website to buy something, but there was one thing that drove you away, and you were not able to speak with someone right away about it? Here is a quick stat from Harvard Business Review that Neil Patel shared. They researched how response times impacted new customers. 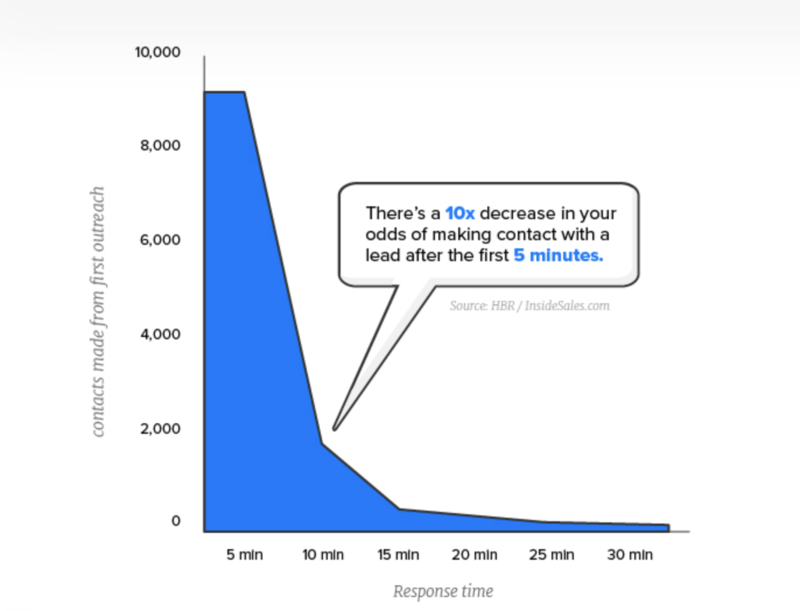 They found that there is a 10x decrease in the odds of making contact with a lead after just five minutes without a response. And they found responding in 10 minutes vs. 5 minutes decreasing your odds by 400%. Most companies today fall into the area of responding within one business day or maybe they pick up email in a couple hours. Still, that significantly decreases your chances turning that prospect into a new customer. 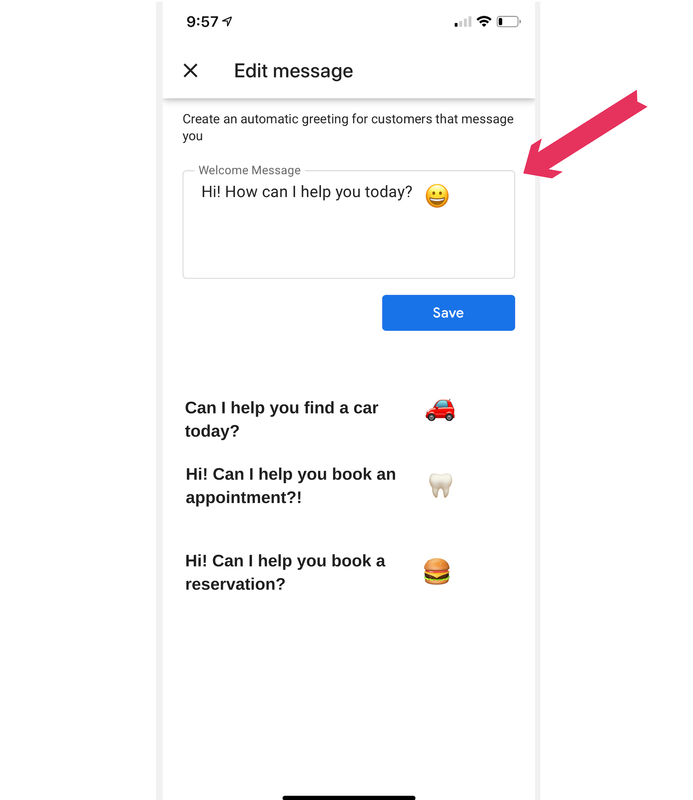 Now that customers can text message you directly from Google search results, you're all ready to start getting new customers!